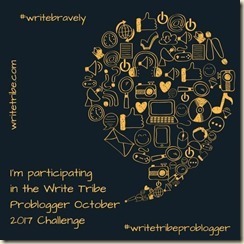 Pattern #WriteBravely - A Rose Is A Rose Is A Rose! The tension was building up in him. He needed a release, so he did what he liked doing under such circumstances. Once finished, he stepped back to admire his bloody handiwork. Excited, he walked out but turned around for one final look. How could he forget that? An incomplete knife set would drive him mad. He seems to be a perfectionist…an OCD, like us, Shilpa! Oh my now this sounds totally macabre and he seemed to be a serial user…. What did he chop up Shilpa? I am wondering too!! Thanks Dipika, glad you enjoyed this 55er! OCD 🙂 Reminds me of, erm, me ! Glad you liked this 55 fiction, Nabanita! Hehe… scary to see people say the post reminds them of themselves 🙂 For me, I instantly thought of popular tv serial-serial killer Dexter. Ha ha…You had me for a moment, Shilpa. Yes, a chef and his knives cannot be parted! Aha! Glad that this 55er served it’s purpose. Thanks Payal! Shilpa, maybe he butchered a beetroot or strawberries 🙂 Do tell…fantastic tale, left me wanting more. A perfect narration for the perfect crime. Aha! Yes, he wanted it to be a perfect crime!! Thanks Vishal! Even a murderer has a pattern to do his work. Superb description. Yes, I have read that some serial killers follow fixed pattern in all their crimes!! Thanks Geethica! My first reaction was – gory – but then I thought you surely didn’t mean that or did you or … so many ways to look at this. Yes, I am loving the way everyone has interpreted this story! Good to see you back, Suzy! How have you been! Jeez… what did he do? incomplete knife set is quite an image to leave for the reader. Haha…a perfectionist. Did he commit a crime or is it something less sinister? Nicely done! He did something really creepy, Sanch!! Glad you liked this 55 word story! Wow! A drabble so nicely done, Shilpa! I wonder who is he, a murderer or a chef. Thanks Rohan, glad you liked this attempt! Ooh…an OCD serial killer? Nice! Loved it! That is seriously creepy. Serial killer who goes back for the knives? What/Who did he chop up? And he likes to keep his knives in order – sounds scary. People with OCD scare me anyway. Ha ha.. No I’m not, as long as you don’t have a knife. This fiction sets the mind to wander… in the direction one chooses to! Is he a serial killer or is he a chef… wow what an intriguing twist! I was glued till end. Yes, there can be multiple interpretations. Thanks Anagha, glad you enjoyed reading this 55 word story! Wow! suspense to the core. Amazing write up Shilpa! Thank you, Meenal and Sonal! I like the way you interpreted it, Meenakshi. Thanks for dropping by! There are so many ways to interpret this post. Is is a masterchef or a serial killer? Thanks Disha and good to see you here! Hahahahahah! This is fun one, with a macabre facet to it. Loved it! Glad you enjoyed reading this 55 fiction, Mayuri! Thanks Neha. Glad you enjoyed reading this story in 55 words. He is scary. Doesn’t matter if he likes perfection. I don’t want to know what he did! Hahaha! I know what you mean!! Thanks for dropping by Varsh! First I thought, nooo, this is a trick, and the guy is only cutting a piece of meat or something. And then I realized he was leaving and didn’t want to leave his knife behind. Ohhhhhhh . . .
Yeah, you got him… he is a creepy and scary sick person! Did someone mess up your knife arrangement? Your second thought is in the right direction!! Is he an OCD! Looks like it, a perfect serial killer? I would go with the second thought! Shilpa what did he chop off? Or was it a human? ☹️ The story is amazing- & 55 words …! Curious to know what he did with the knife. He is a perfectionist, I think. Happy to join with you for #writetribeprobloggerchallenge !!! He is a perfectionist but he is something else too. 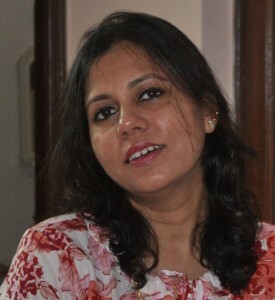 Glad to have your company for this season on WT Problogger Challenge, Vasantha! I’m still shuddering! What bloody handiwork was he working on? You have some imagination, Shilpa! I like your observations, Sunita. Thanks, glad you liked this attempt! The foodie wants to believe that it’s a chef, and he’s just chopped up some meat 😛 The crime thriller lover tends to think it’s a serial killer who may have just forgotten the knife in his victim and gone back to retrieve it. 😉 Either way, you weave a brilliant tale! Thanks a lot, Vinay. Glad you liked this piece. I liked the beginning of your story, would like to see some twist if more can be written on this. I liked the comments written by all too.